Henry Arms Field was born in Page County, Iowa, December 6, 1871 to Solomon and Celestia Field. Inspired by the old Vick’s Floral Guide, the story goes that he gathered seed from his mother’s garden, packaged them in homemade envelopes and sold them to his aunt. As a young boy, Henry would carry baskets of produce two miles into Shenandoah where he sold them door to door. By ten his business expanded to strawberry plants, seed potatoes and pansies. During the winter of his 15th year, he worked at the Livingston Seed Company in Des Moine, Iowa. This gave him hands on experience at running a seed business. He graduated from Shenandoah High School in May of 1889 and attended Western Normal College in Shenandoah, Iowa from 1889 to 1891. Henry was a hardworking, driven man who while juggling several careers, knew that the seed trade was his path. On November 24, 1892, Henry married a college classmate, Annie Hawxby who also was a gardener and had an interest in the seed business. They established a truck farm on the edge of town and were so successful in their yields, people area farmers began seeking out his seeds. These face-to-face encounters with farmers taught him how to successfully sell in short, succinct, plain English conversations. A characteristic he used throughout his career in letters, catalog descriptions and eventually on the radio. Henry's family personal life had a rough start. A son was born, Frank, but sadly, Annie became sick and died from complications of scarlet fever April 28, 1899. He pressed onwards, converted a room in his house into an office and the barn into his first seedhouse. "I was the whole thing," he once said of the early years of his company, "from catalog to delivery wagon." In his early years, his strategy was to price his own garden seed lower than W. Atlee Burpee & Co. and to distribute them throughout Shenandoah, Iowa. Using his own press, he produced a small, four-page catalog in 1899. In 1900, Henry married Edna Thompson and the couple produced ten children: Faith, Hope, Philip, Josephine, Jessie, Mary, Ruth, Georgia, John, and Celestia (Letty). Henry was a family man first and foremost. He never missed mealtime or nights with the family. And although he regularly worked long fourteen to sixteen hour days, he was usually nearby in the gardens or seedhouse and accessible to the children. 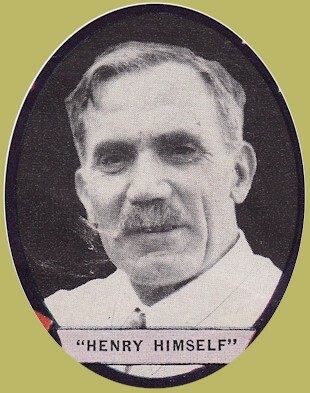 At the encouragement of his friends, Henry incorporated the company as the Henry Field Seed Company in 1907. The company grossed $63,000 that year. He grew the business beyond the boundaries of Shenandoah by expanding into a mail order business. His slogan was, "Seeds that Yield are Sold by Field." 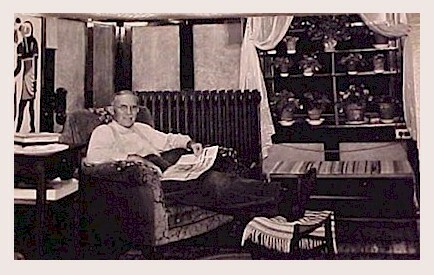 In 1924, he became a pioneer in broadcast radio by building a station (KFNF) on top of his seedhouse. The programming consisted of country entertainment, information and of course, informing folks about his wares. To put this into context, this use of the brand new technology of broadcast radio put Field on the cutting edge and one of less than 300 radio stations operating in the country at the time. The slogan of KFNF was "Keep Friendly, Never Frown". Edna passed away on April 3, 1925 of "Bright's Disease" and Henry became a single parent. He dedicated himself to this endeavor for four years until marrying a company employee, Bertha McCullen, in 1929. She was said to be a loving wife and a caring mother to the children. 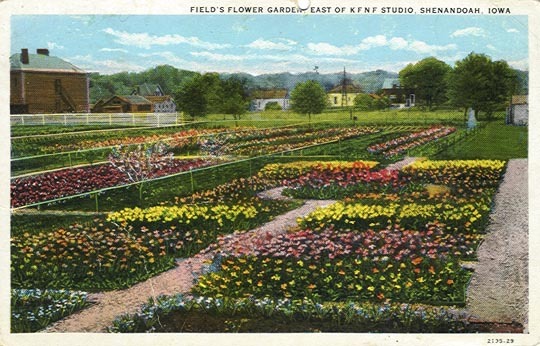 Although they lived modestly, Field's company was ranked as one of the largest seed businesses in the country. During the peak season, hundreds of townspeople were on his payroll and two-thirds of the postal volume for Shenandoah was attributed to his business. 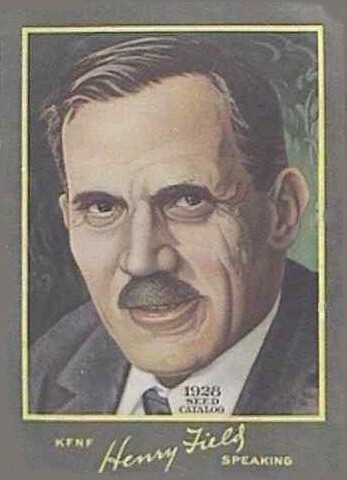 In 1938, at the age of 67 years, Henry retired from actively managing the company but he retained the title of president until his death on Oct. 17, 1949. At the time of his death, the company had sales of approximately $3,000,000 annually from a million customers. 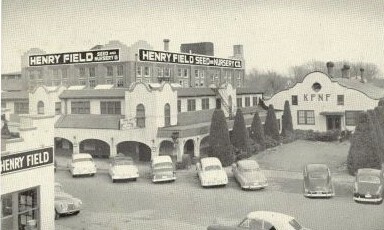 Amfac, Inc. purchased Henry Field's in 1981. Field's customer list, when combined with that of Gurney's (which Amfac, Inc. acquired the year prior), eventually became the Amfac, Inc. Mail-Order Division. In June 1984, an eight-member investor group, purchased the division from Amfac, Inc. In 1991, Field's was purchased by a private direct marketing firm own by Don Krumel. The business was then sold to Foster & Gallagher, Inc., of Illinois in 1999. Foster & Gallagher, Inc. purchased a lot of the old, well established company names - Breck's Bulbs, Gurney's, Michigan Bulb Company, New Holland Bulbs, Spring Hill Nursery, Stark Brothers, Garden Solutions (an online storefront featuring Brecks, Spring Hill, Henry Fields, Gurney's, and Stark Bros. brand names). In July of 2001, Foster & Gallagher, Inc. filed for bankruptcy. On October 26, 2001, a new company, Scarlet Tanager Holdings, LLC, owned by Niles Kinerk, located in Greendale, Indiana, emerged as the owner of the registered trade name of Henry Fields (as well as the other Foster & Gallagher, Inc. holdings). The radio station changed ownership and location several times over the years, is now an FM station, and was most recently acquired by McCook Radio Group in Nebraska.